The incident happened at Clogrennane, Ballinabranagh at around 11.50am this morning. 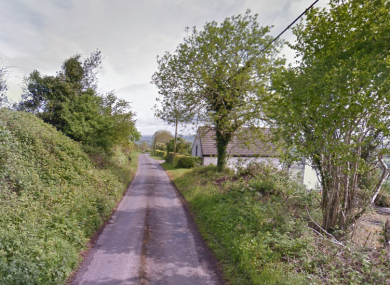 GARDAÍ ARE APPEALING for witnesses after a man and four teenagers were involved in a serious single vehicle collision in Co Carlow. Gardaí and emergency services are currently at the scene. Five occupants of the car, a man in his 20s and four teenage girls, have been taken to the Midland Regional Hospital and St Lukes General Hospital Kilkenny. Two of the occupants serious injuries, according to gardaí. A technical and forensic examination of the scene is currently underway. The road remains closed and diversions are in place. Gardaí are appealing to witnesses travelling on the Ballinabranagh Road between 11.40am and 12.15pm to contact Carlow Garda Station on 059 913 6620, the Garda Confidential Line on 1800 666 111, or any garda station. Email “Witness appeal after man and 4 teenage girls hospitalised following collision in Co Carlow”. Feedback on “Witness appeal after man and 4 teenage girls hospitalised following collision in Co Carlow”.